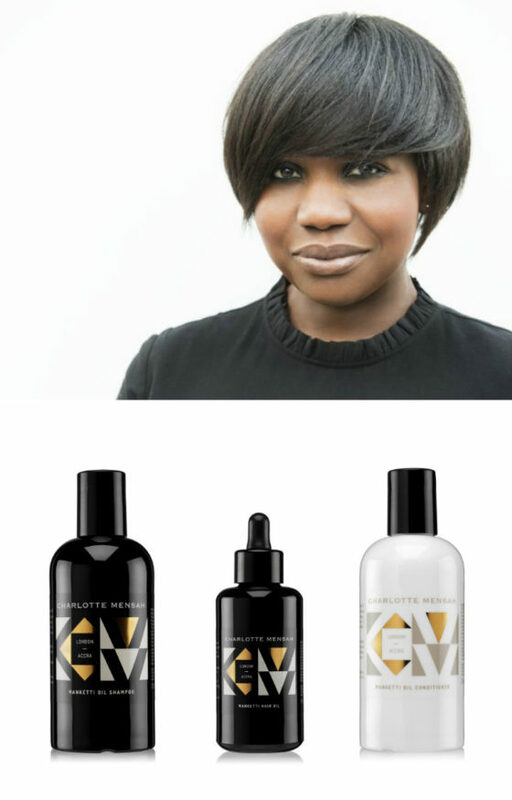 It is a privilege to showcase the work of Denise Rabor, a dynamic business woman and the founder of WOW Beauty on the BPL blog! The website was launched to be a one-stop destination for beauty and wellbeing advice for women from all backgrounds. I asked Denise a few questions, so that we can get to know her better! BPL: Tell us about yourself. DR: I am a woman of dual heritage, half Nigerian and half Trinidadian and I celebrate that. My sister and I were brought up between London and New York which for me created a life long passion for diversity and inclusion. I have travelled widely and continue to do so and that gives me a very global perspective on life and on people, that perspective was nurtured by my parents who started off in London but then moved to New York, which is like a second home. I love being a global citizen. Like many women I am different things to different people and like many women in business I am a multitasker. BPL: Why did you establish WOW Beauty? DR: WOW Beauty was initially designed to be an inclusive beauty and wellness website, a compliment to my years as an international makeup artist, but as with many business journeys, it has evolved as it has grown. My passion for sharing and celebrating women’s journeys is coming to the forefront via the ‘Wow women Inc’ and ‘My Beauty Journey’ sections, making it more than just a beauty website, the vision is that it becomes a portal that every woman can visit for well-being, beauty and inspiration. The bigger picture is to encourage, inspire and support all women to step into their power and own their beauty and wellbeing. This is especially important to me because unfortunately women of colour whether they are black, brown or any ethnicity other than white are often made to feel invisible, unimportant and have their needs ignored. Interestingly WOW actually stood for ‘women of the world’, but now it also stands for ‘women own the world’. WOW Beauty is designed as a portal for every woman regardless of her ethnicity or culture. In many ways WOW beauty is one long note to self it is a reminder to me of all the things that I need to be doing to live my fullest life and I guess that having a reminder to myself it is also something that I can share with every other woman. BPL: Your passion for quality product is evident from the content featured on the website and on your social media feeds. What is the driver for this? DR: As a black woman running an inclusive beauty website, I feel that I have a duty to lead by example and I will not recommend or review any product that I cannot use. I love good quality in everything. Quality is not always synonymous with price. When it comes to what we put in our bodies and use on our bodies I think that we all deserve the best quality. Beauties fall is well and truly here so it’s a good time to review our cleansing routines. Thought we’d remind you of part 1 of our #holisticbeauty & #Wellbeing special which focuses on cleansing! Not only are we talking about detoxing your body and cleansing your mind, we’ve also selected some very effective cleansers that will make your cleansing experience extra indulgent and mindful! Today we’re focusing on some of the face cleansers from the special and wow… they are beautiful! Loving the @3107skincare cleanser…soothe and repair your skin with this lush cleansing balm jam packed with skin nourishing goodies like shea butter, vitamin E oil, jojoba oil etc…with the heavenly scent of lavender and geranium to soothe your senses.  @demamielskin Botaniques Brightening Cleanse & Exfoliate is a real multitasker that you can use as a cleanser or as a treatment. This transforms from powder to paste and every time you use it, you are left with clean, smooth and glowing skin thanks to the vitamin c, ginseng and raw cacao powders blended with calming gemstone powders  @sundayriley ceramic slip cleanser is designed for normal to oily skins. It contains some impressive ingredients which work synergistically to not only cleanse but also to detoxify the skin & minimise the pores. It’s key ingredients are French green clay and rhassoul lava clay from Morocco, Vitamin c and essential oils and their BlueMoon Cleansing Balm, infused with blue tansy and #cocoabutter removes make up (including eyes ) and leaves the skin feeling clean and hydrated!  @drjacksonuk 7 Face Wash contains baobab, kigelia, mandarin, lemon, Roman chamomile and pomegranate, it leaves skin feeling immediately purified and refines, but is still gentle enough for sensitive types. Kigelia and citrus oils work in harmony to cleanse, tone and tighten the skin, while fatty acids from baobab oil hydrate and nourish. Pomegranate acts as a natural, light exfoliator, perfectly countered by chamomile’s softening and soothing properties.  @blackchickenremedies Cleansing oil is a lush oil great at effectively removing makeup as well as deep cleansing. BPL: Where do you see WOW Beauty in five years time? DR: In five years time I would like to see WOW Beauty being a much bigger community of like-minded women helping to educate and inspire and celebrate everything that we are, I love sharing the stories of phenomenal women from all walks of life women who are being true to themselves, who are discovering themselves …women who like me are on a journey. BPL: Tell me more about your next event, ‘All About Skin’. DR: In my experience if there’s one thing that all women are concerned with it is their skin. No matter where they’re from or no matter what their culture of their age the one thing that we all want to know about is how to have our best skin ever. I feel a responsibility to ‘think forward’ which is why my panel of skin experts is diverse: inclusion starts with diversity, diversity of thinking and action. A diverse panel means that all attendees feel seen and catered for which is sadly not always the case at events I’ve attended in the past. This event is designed to help women get the best expert advice on skin care. It’s designed to help women separate the wheat from the chaff as they say, to step above the noise being made by brands and magazines and fake experts. You know I was speaking to my sister about her skin needs and I advised her to change certain things about her regime etc. and she was like “oh my gosh I really need to attend your event”. It’s that expertise that’ll be offered but at an elevated level from people who’ve actually studied specialisms like dermatology, nutrition, aesthetics’, and much more. Too many women are using products that are the not designed for their skin type and what you’ll find is that these products are doing more damage than good. Women spend a lot of money on skin care: every time a new product comes on the market you can know that we will be buying it hoping for more glowing skin or better skintone. We all want better skin. This event is designed to enable and empower attendees to make informed choices about their skin care, after all knowledge is power. ‘All About Skin’ takes place on the 8th of November and tickets can be brought here.